The Bharatiya Janata Party releases its manifesto titled "Sankalp Patra" for the Lok Sabha polls today. BJP releases its manifesto titled "Sankalp Patra". Congress spokesperson Randeep Surjewala says, "This is not a 'Sankalp Patra', this is a jhansa patra (a deluded manifesto). The government has been blaming others for its failures because it has not been deliver its promises. Uttar Pradesh Chief Minister Yogi Adityanath is addressing a rally in Uttar Pradesh's Bijor district. The West Bengal CM Mamata Banerjee hits out at the BJP's manifesto promise to implement the contentious Citizenship Amendment Bill. "Don't believe the Citizenship Amendment Bill, I have read it. You will not have a voter card or surety of a job". NCP-Congress candidate Priya Dutt files her nomination from Mumbai Northwest constituency. She is accompanied by her brother actor Sanjay Dutt. The Prime Minister highlights the manifesto promise for a separate "Jal Shakti Ministry". "Nal se jal (water from taps) will be worked on," he says. We have to address a number of issues to bridge the gap between north and south India. We have to make development a people's movement. You can see how Swatch bharat had helped address the issue of cleanliness. People sitting in Delhi AC offices cannot decide on poverty. Special attention is being given to Empowerment of citizen, and empowerment of poor. We have largely been successful in checking corruption. We have increased accountability. Technology has also played it part. By 2022, India completes 75 years. The 21st century belongs to Asia. Shouldn't India be leading this? We have planned multi-layer process to include all sections of the society. Multi-dimensional process has been decided to help fulfill our promises. Work which was not completed in the 50 years, was completed in 5 years under the BJP government. I thank all of you for the co-operation in these 5 years. It is natural that every party will bring manifesto for the elections. But Rajnath ji has spent 2-3 months for our manifesto. Probably, this is for the first time, that the manifesto is based on a govt that will continue to remain in power. We have got time bound promises for the country. We have decided to move ahead with one mission, one direction for the country. When I tell world leaders that we opened 330 million new accounts as part under our financial schemes, then they get shocked. 134 km of rads are being built in a day. 127 mobile factories have been set up in the country as against 2 before. The image of our country has vastly improved under Modi government. PM Modi has revived 5 major awards. Saudi Arabia, UAE and Palestine have honoured PM will their highest awards. Our major achievement is the OIC invite, despite Pakistan objections. Our opposition used to criticise PM Modi's foreign visits. I tell them that India has been successful in building relations with other countries. PM Modi has helped build a strong relationship with the Arab world. I request you all to compare our vision document with that of others. The opposition parties only care about a section of people, Prime Minister Narendra Modi is for all. Congress President Rahul Gandhi does not know the pulse of the people. Our new terror policy of striking terror in its root has received global support. In the first 5 years, India was one of the fastest growing economies in the words, our inflation has been lowest than what our previous government left. We have been a highly performing govt which has fulfilled the 2014 manifesto. This manifesto has not been prepared with a tukde-tukde mindset. Those who have delivered in the past have a credibility to deliver in the future. We have a government which delivers. Our new security doctrine has made India among the most powerful nations in the world. All farmers will provided benefit of related schemes. Small farmers will be provided pension after 60 years. "We reiterate our stand to explore all possibilities within the framework of the Constitution to facilitate the construction of a Ram Temple in Ayodhya. We will try to settle the case in a peaceful manner and ensure it is built. The sankalp patra is being presented as a vision document to 130 crore Indians. The document was prepared after taking suggestions from various people. Our image has improved internationally. We are now aiming to be among the top 3 counties in the world. People of the country see hope in PM Modi. We have been successful in setting up a responsible, sensitive government. Political parties have made large number of promises in their manifestos, creating a crisis of credibility. We have taken this crisis of credibility as a challenge, and have largely been able to overcome it. "In last five years, BJP-led Modi government has been a successful government with a host of achievements," Amit Shah says adding that basic amenities have been made available to the common man. In 5 years, Modi govt has taken 50 major decisions for the betterment of the country. From 2014-19, our govt has transformed the country. I am here to talk about the Sankalp Patra released in 2014. In 2014, the people of the country gave us a masive mandate and PM Modi became the PM. Despite a massive mandate on our own, we made an NDA govt in 2014. Narendra Modi and Amit Shah are now seated on the stage for the launch of the BJP manifesto at the party's headquarters. PM Modi arrives at the BJP headquarters in Delhi, minutes ahead of the party's manifesto launch. He is received by party chief Amit Shah. Congress' Jaiveer Shergill said, "Instead of launching a 'Sankalp Patr' (manifesto), BJP should launch a 'Maafi Patr' for injecting a lethal injection of unemployment, farmers suicide, closing of businesses and putting youth towards Pakoda employment." Bharatiya Janata Party chief Amit Shah will meet veteran leaders of the party ahead of manifesto release. The BJP will release its manifesto, described by the BJP as its "sankalp patra", today for the 2019 Lok Sabha elections. Top party leaders, including Prime Minister Narendra Modi and its chief Amit Shah, will be present at the launch. Rashtriya Janata Dal released its party manifesto for 2019 Lok Sabha polls in Patna. 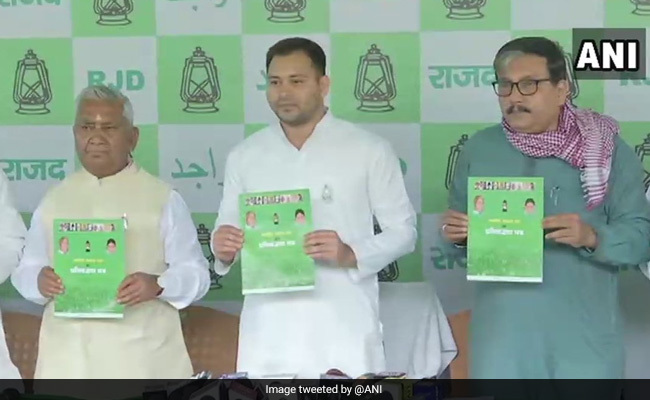 RJD leader Tejaswi Yadav, son of party chief Lalu Prasad Yadav, released the party's manifesto. The manifesto, promised vacant posts in government jobs to be filled. The Congress formally launched its campaign for the Lok Sabha elections with a song and a slogan -- ''Ab Hoga Nyay'' - a spin not only on its promise of a flagship Basic Minimum Income Scheme Nyay, but also an assertion that the country is being subjected to "anyaya" or injustice under the BJP-rule. Announcing that the Congress campaign will be built around the concept of ''nyay'' (justice), senior Congress leader Anand Sharma said, "People talk on the non-performance, non-deliverance of the BJP government for the last five years. Betrayal, false promises and justice has been denied to the poor". Senior Congress leader P Chidambaram alleged that the government was planning Income Tax raids at his homes in a bid to cripple the Lok Sabha election campaign. He said the people of the country were watching and would give a befitting reply in this election. "I have been told that the I-T Department has plans to raid my residence in Sivaganga constituency and in Chennai. We will welcome the search party," he said on Twitter. The SP-BSP alliance in Uttar Pradesh held its first joint campaign rally for the coming Lok Sabha elections in Deoband, Uttar Pradesh. Mayawati, Akhilesh Yadav and Ajit Singh attacked Congress and the Bharatiya Janata Party. They said the two parties were not very different from each other. 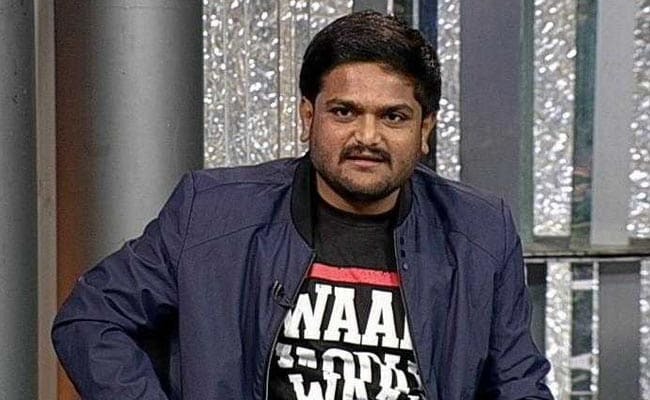 The Bharatiya Janata Party is all set to release its party manifesto for the upcoming general elections today, that are scheduled to begin from April 11. Issues of development and national security are said to be the BJP's key highlights. 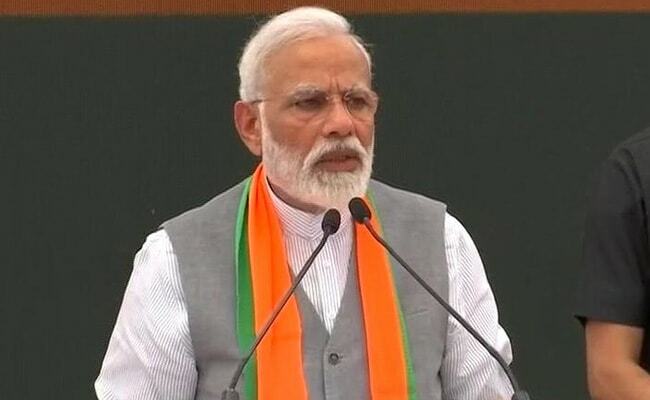 Top party leaders, including Prime Minister Narendra Modi and party chief Amit Shah will be present at the launch of the manifesto, described by the BJP as its "sankalp patra". The Congress will be starting its electoral campaign today in western Uttar Pradesh with three public meetings in Bijnor, Saharanpur and Shamli.